From St. Louis, Missouri, Scherer was ranked by both ESPN and Rivals as the No. 8 overall talent in Missouri, and ESPN ranked him as the nation’s No. 20 prospect at inside linebacker. He was named First-Team All-State honors during his junior and senior season, and was named his conference’s Player of the Year and an Under Armour All-American as a junior. He committed to the University of Missouri to play his college ball. Scherer, 6’3″. 235 lbs, emerged as a force for the Tigers. He finished 2nd on the team with 114 tackles during his sophomore year, then followed it up with another sensation junior campaign which earned him the team’s Aaron O’Neal St. Louis Player of the Year Award. His stardom was on the rise early in his senior season, when he recorded 9 tackles against Georgia, 10 tackles at Florida, and then 13 tackles and .5 sack at LSU. 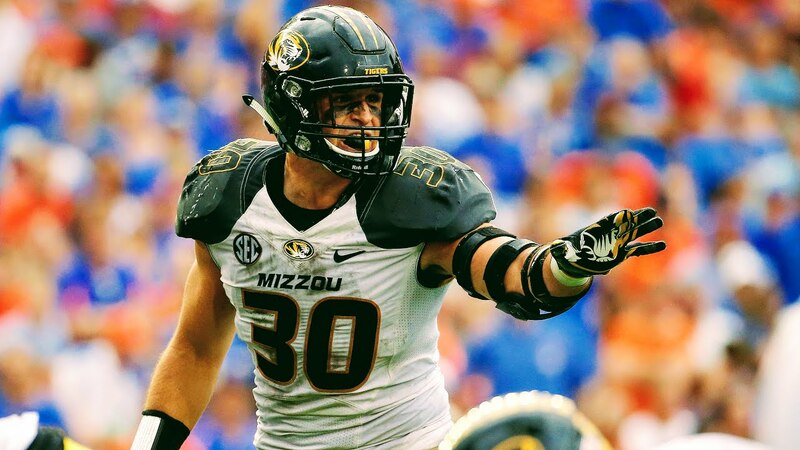 Unfortunately, Scherer tore both his ACL and MCL against Middle Tennessee later that season, effectively ending his season, his Missouri football career, and putting in doubt his future in football. Five months after surgery, Scherer fought to be healthy enough to participate in Mizzou’s NFL Pro Day. Scherer had 26 reps on the bench press, a 34-inch vertical jump and a 10-foot broad jump. Those numbers would’ve placed Scherer in the top 15 among linebackers in the NFL Combine had he been invited to participate. Undrafted due to injury concerns, Scherer has garnered NFL interest, most recently in workouts with the Oakland Raiders, Chicago Bears, and New York Giants. In 2018, Scherer will join The Spring League to prove to NFL scouts he’s fully healthy and ready to resume his once-promising pro career.